6 Reasons to optimize your mobile SEO now! Out of the study of keyword searches comes the practice known as search engine optimization (SEO), in which the individual who is responsible for setting up a website knowingly includes the appropriate keywords in the text in the hopes that it will rank more highly in the search results list. This is an especially useful tool for business sites, whose ability to make money is, after all, dependent on people visiting the site and buying things therefrom. The rest of this article will be confined to mobile SEO and, more specifically still, to the reasons why you, as a businessperson and an owner of a website, should optimize your mobile SEO. Reason #1: So many people surf with smartphones. The smartphone has become so popular as a means of surfing the web – indeed, they may surpass PCs in that role in terms of number of surfers as early as this year! Similarly, statistics gathered by the computer and Internet blog Econsultancy reveal that about 40 percent of all views of videos on YouTube are done via smartphone. Consequently, the SEO strategy for any web business that is “worth its salt” should include a system of mobile SEO optimization. Reason #2: Optimization of SEO for mobile phones is rewarded by Google. Reason #3: There tend to be fewer characters (an average of fifteen) in mobile searches. When people are making a web search on a smartphone they use fewer characters, on average, than they do when searching on a PC. 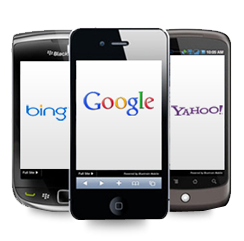 Consequently, mobile SEO requires considerably less work than PC SEO as it requires less typing. This is the best reason of all so far why mobile SEO optimization is so important. Reason #4: It can increase the number of visitors considerably. SEO optimization for mobile phones can result in considerably more visitors to your site than you would from PC users alone. It is estimated that this increase may be as much as sixteen percent. In companies that operate in certain industries, the figure may be even higher, sometimes up to 29.9 percent. Reason #5: Mobile surfers have different habits. Just as web surfers using mobile devices use fewer characters, so too the types of searches they make are in many ways quite different. They are more likely, for instance, to make searches that are more closely related to information about a company itself – its history, the type of company it is, the products and services it has to offer, driving directions, the menu (if it is a restaurant, of course) and so on. Mobile SEO optimization can therefore be used to draw in more customers and make more sales than would otherwise be possible. Sites that run Flash assets are generally not supported by smartphones and will now be penalized in the search results lists by Google. missing. Busted material can’t be indexed by search engines either, which is likewise bad marketing. like a before-and-after photo, make certain you consist of an appropriate keyword in the title when you conserve the image. spam and blacklist your website from the search engine result. web page as this is the page you need to desire your customers to see first. select couple of and use them creatively and often while still keeping a natural flow to your page. level of skill or perhaps a lot of effort. What’s crucial is that you take the right technique.